The 2016 Jeep Wranglers are here and as always they’re authentic to the core. These all terrain-conquering recreational vehicles have been awarded for everything from being “one of the 10 coolest cars to own under $25,000” (by Kelley Blue Book) to “best resale value” making this multipurpose cross-over a great value for our Houston and Cypress Area drivers. When you buy a Jeep, you are purchasing versatility. Whether you’ll still exploring the Rubicon, Sport, or one of the other special limited edition trims, you’ll find that your 2016 Wrangler comes prepared to command. The 3.6L Pentastar V6 Engine will provide a beastly 285 horsepower with 260 pound-feet of torque as well as a comprehensive warranty so your Best-In-Class engine will stay that way. The Wrangler is also equipped with the Command-Trac 4×4 system which gives your vehicle a leg up on those slick road conditions and tackling those trail limiting obstacles. Steel Skid plates will act as armor for your car’s underbelly making the transfercase and fuel tank less exposed to rough terrains. If the rough terrains wreaks havoc on the interior of your Jeep, simply give it a quick rinse inside and out and use the utility floor drain plugs so your comfortable interior can be clean and ready for the next adventure. The 2016 Wrangler has the look, feel, and accessibility that you would expect from an awarded legendary vehicle. You’ll quickly notice behind the leather wheel and lockable spacious center console that this Jeep beckons for freedom on and off road. 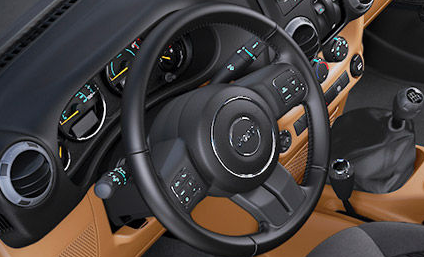 Rewarding your Jeep with an Alpine Premium Sound System will make it sing as you steer. Equip your Wrangler with the Sirius Satellite UConnect radio and you’ll discover there’s an accompanying soundtrack for every adventure. Use the hands free buttons in the steering wheel to move quickly and easily through the functions of your digital dashboard console. At night, the illuminated cup holders and LED Rearview Mirror will help you get your bearings. You should always feel safe and prepared especially if you’re blazing trails remotely. 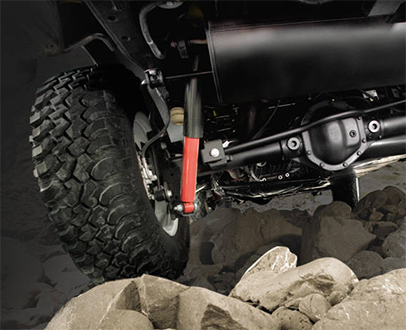 High efficiency fog lights and tow hooks will help prepare your Wrangler for intense off road adventure. Of course, the 2016 Jeep Wrangler boast security and safety with Advanced multistage front airbags and available side-supplemental airbags. The four wheel Anti-lock Brake System is designed to work on and off roads along with your tire pressure monitoring system so you’ll be aware if your vehicle needs adjustment.